The more domains, the more savings! 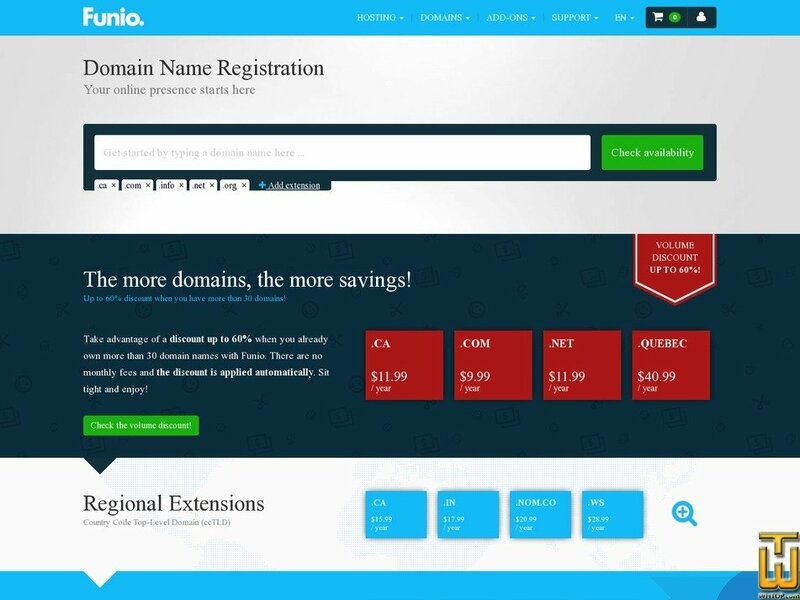 Take advantage of a discount up to 60% when you already own more than 30 domain names with Funio. There are no monthly fees and the discount is applied automatically. Sit tight and enjoy! We'd love to be your new domain registrar! Initiate a transfer today to manage your web hosting and domain names from one easy to use control panel!